You know, I thought we had dealt with this issue several years ago when I wrote about this, but I see I have had to dust off the conversation and deal with it once again. 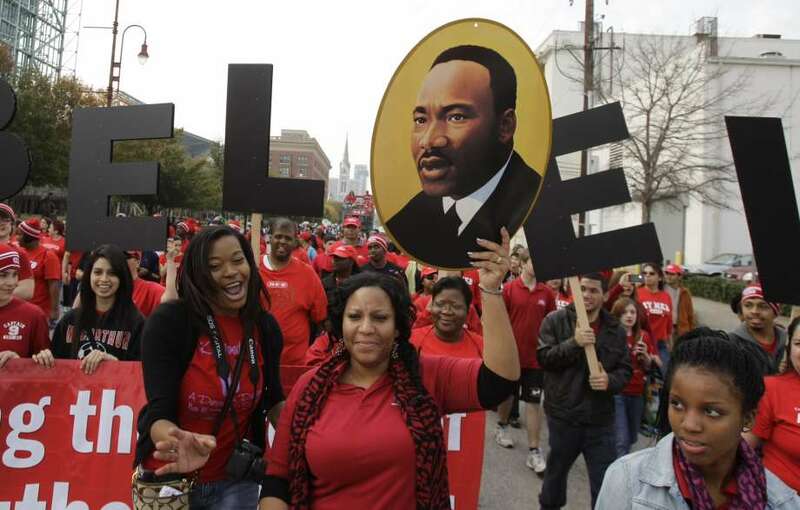 Why in the world do we keep talking about the fact that there are two parades to celebrate the life and legacy of Dr. Martin Luther King Jr., as if having one MLK parade is going to solve what is really wrong with the Black community in Houston? That is such a warped argument. Several people keep saying the same thing, year after year, which prompts me to keep saying the same thing in response…who the hell cares? Either people don’t read my column every week, or are just are hell-bent on keeping the same unrealistic view of how they believe things should go; yet their views bring about no change. First off, let’s defuse one of the most off-the-wall arguments people have presented…the one where people act like they own a psychic hotline business and are able to conjure up the spirit of Dr. King to know exactly what he would say if he were alive, or what he would think about the fact there are two MLK parades in his honor. Sorry everyone…you are NOT Ms. Cleo! None of us know what Dr. King would have said or thought about it, although I can appreciate the consideration being given to Dr. King’s legacy, even with having a wrong viewpoint about this parade issue. If anything, I will take a stab at what Dr. King would have been focused on if he was alive, because it is well-documented what he was focused on. Dr. King wouldn’t have cared about receiving personal praise if he was still alive, so let’s stop thinking we would know what he would think. Hell, he would’ve been focused on battling the three evils he spoke about when he gave his speech on August 31, 1967, called “The Three Evils of Society” at the National Conference on New Politics – War, Poverty and Racism. We are living in some perilous and challenging times as Black Americans, and to think Dr. King would’ve been focused on something as petty as who should be holding a parade in his honor, is a true slap in the face of his legacy. Yeah, I know many of you have told me in times past how this shows a lack of unity and how we can’t work together…blah, blah, blah. But, I don’t need to an MLK parade issue to know that is not a contributing factor to what plagues Black America, and in particular, Black Houston. 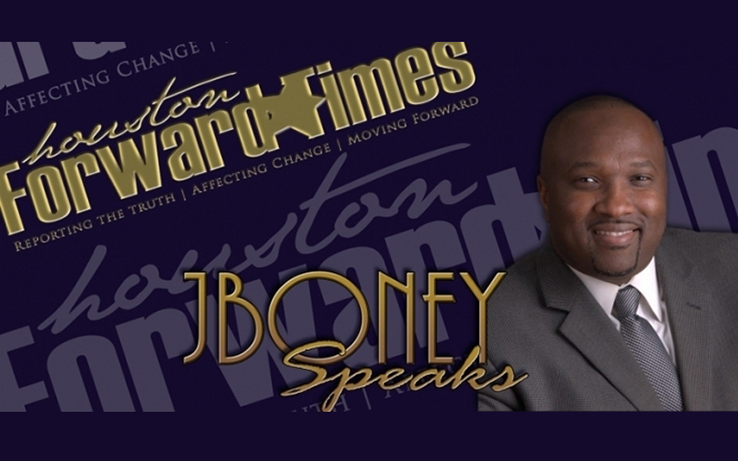 Let me tell you something…singling out the MLK parades, as if Ovide and Charles coming together would change the paradigm and plight of Black Houston, is totally naïve and unrealistic. It’s so funny to me how people act as if there was just ONE of anything (i.e. parade) they would “support” that one thing and everything would be well with the world. NOT!!! How many Black businesses, Black institutions, Black events, Black banks, etc., have faltered or are currently struggling to survive because Black people collectively refuse to support them? And guess what…many of them are the ONLY Black of its kind. If two different groups want to have two separate MLK parades – in the same city – at the same time – on the same day – who are we to get in their way and use an excuse (sorry, a reason) not to support them? No one has a monopoly on celebrating someone’s life, and no one has a monopoly on making money doing it either. Bottom line is…there are two different visions and two business models for these parades. And don’t act like it isn’t about money and control, because it is…and they have every right to have that focus. Why do these two Black men have to be held to a higher standard than other people, groups and businesses that celebrate Dr. King’s legacy, and make money doing so? What about the Fortune 500 businesses; the community organizations; the churches; hell…and even Dr. King’s own children, who are and have been a part of the overall commercialization of Dr. King’s legacy? People need to stop over-hyping this issue and this so-called divisiveness, as if this is causing a major rift or beef within the Black community. Where’s the beef? Most of the people who have issues with the two parades are hypocrites themselves, because if you look at their own personal lives, there is real divisiveness within their own families and within their communities and within their organizations that is real and not something manufactured like this “so-called” beef between the two parade organizers. There is so much dysfunction within the Black community that makes a manufactured beef between two Black men who hold two separate parades on the same day look like child’s play. If two people have different visions on how they want to do business, then they shouldn’t be “forced” to do business others who they have a fundamental disagreement with concerning that business. Everyone can’t work together, and because this is America, they don’thave to. I don’t see folks, especially Blacks folks, scrutinizing other races the way they do their own people. If folks want to attend one parade over another, well then just attend that one and leave the other alone. As a consumer, you can choose. Why get bothered by this? And for those who believe having two MLK parades is such a major issue in our community that is causing division, I would like to know how you have been able to measure this divisiveness, and the inability of Black folks to come together because of these two parades? I already know the answer to my questions though…you can’t, because it doesn’t exist. So what there were lawsuits? People file lawsuits all the time when they believe they have just cause. So what the two men may not like each other? Many of you don’t like people either. Stop making this an issue and start supporting one or both or none. Many people agree with me, and I’m okay with those who don’t. Matters me none what you decide to do concerning the parades. What does matter most to me, however, is that you stop worrying about who is hosting two parades and start focusing on what should matter most to all of us here in America. We need to start focusing on our young people; our finances; our health; our politics; and role in this country’s future. I’m a part of the “what matters most” crowd. Will you join me?